With PhotoShake, you can easily combine one or more photos to make exciting and fun new images. PhotoShake is a photo editing program that you can use to share photos with family and friends on social networking sites. 2. Import photos for your collage and select paper type. 4. Also editing tool is available to create special effects on the final collage. Featured in iTunes New & Noteworthy Apps, What’s Hot, and Staff Favorites. – Easy photo creation by shake action. – Unique frame making by moving handler. – Storytelling with various balloon item. – Save photo & Send email. – Gallery with rate and title. – Add more photo effects. – Add more social media. 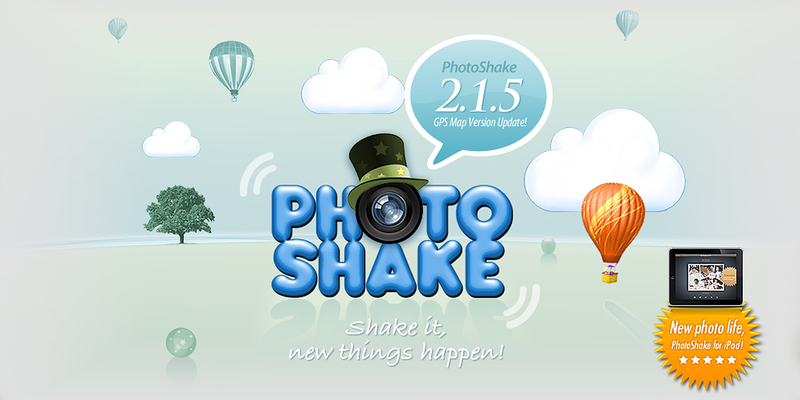 PhotoShake allows user to create images from various occasions like everyday life, memorable moments, social gatherings, photo that has a story. Make a precious memory with family, friends, or others. Share your beautiful memories and fun episodes with your friends. Thanks for considering the PhotoShake.